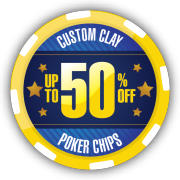 The total printable (white diameter) area for most of our Clay Poker Chips is 1.2 inches. 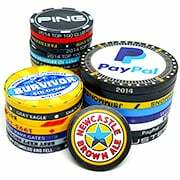 Please keep any text or important graphics within the central 1.1 inch diameter safety area. 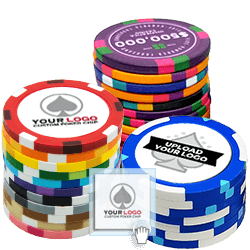 The 8-Stripe Clay Poker Chip printable area is 1.3 inches, any important text or graphics should be kept within the central 1.22 inches for this chip. 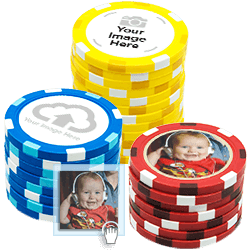 It is recommended that all artwork is output at 300 dpi or more.